The perfect book for tea lovers in London! When it comes to tea, we’re all quite passionate for this classic British pastime here at London Perfect. Recently, Zoë F. Willis has taken us on a brief romp through the history of tea, shared her tips for preparing the perfect cup of tea and even very kindly taken us along on an afternoon tea crawl in London – all part of London Perfect’s Guide to Tea. What better way to round off our tales of tea with a favourite from our London bookshelf? 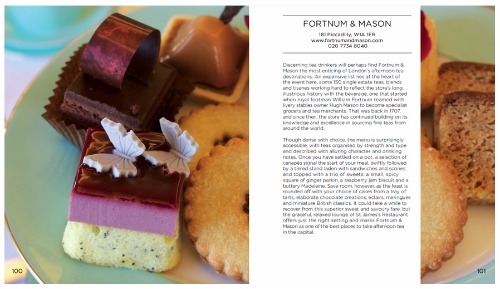 One of our favorite spots for tea – Fortnum & Mason! For tea lovers there are few better places in the world to enjoy a good cup than London. 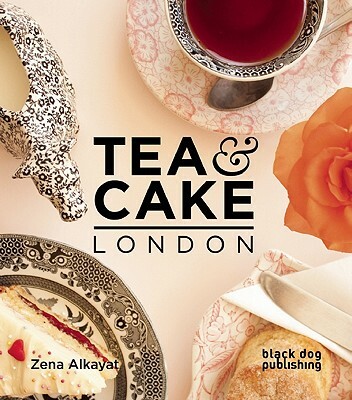 What surprise then that a guidebook for finding the best spots for tea in London didn’t come along until Zena Alkayat’s charming Tea & Cake London was published last year. This lovely little book offers tea lovers a look at over 70 cafés, bakeries and tearooms located throughout London. Illustrated with mouthwatering photos accompanying each entry, Tea & Cake London is just as delightful to read as it is useful while out and about sightseeing in London. We were happy to see that many of the classics, such as Fortnum & Mason and the Ritz, were included alongside little cafés that we hadn’t heard of before. There’s always something new—and sweet—to discover in London! 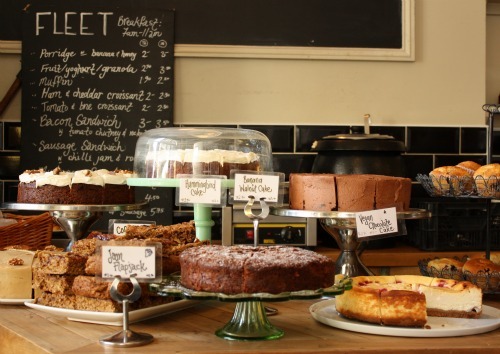 Whether you’re looking for a lovely spot for afternoon tea or a quiet café to rest your feet from sightseeing and enjoy a restorative tea, you’ll find a great selection in Tea & Cake London. We highly recommend tucking this little volume away in your bag and making time for enjoying a good cup of tea on your next trip to London! NEXT: The Best Way to Get Around London – On the Bus! Posted on Tuesday, February 19th, 2013 at 9:42 am in Food & Drink. You can follow any responses to this entry through the RSS 2.0 feed. You can leave a response, or trackback from your own site.